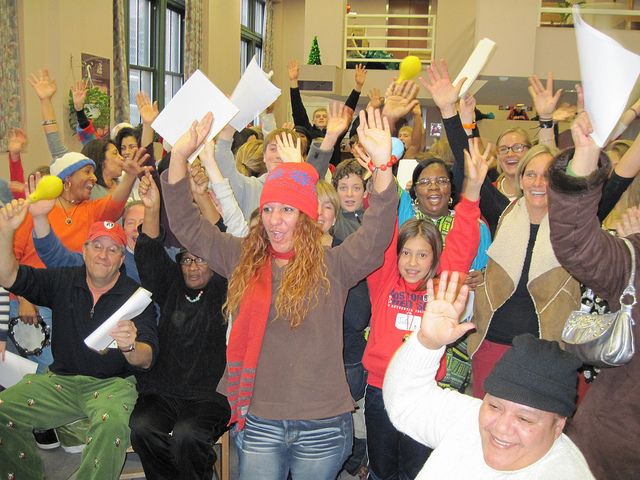 "We have been very fortunate to work with the Ripples of Hope volunteers on numerous occasions and truly appreciate their enthusiastic spirit, commitment to service and sense of purpose. Projects are always well organized and the volunteers are eager to be put to work and make a positive impact in the lives of our guests and tenants. 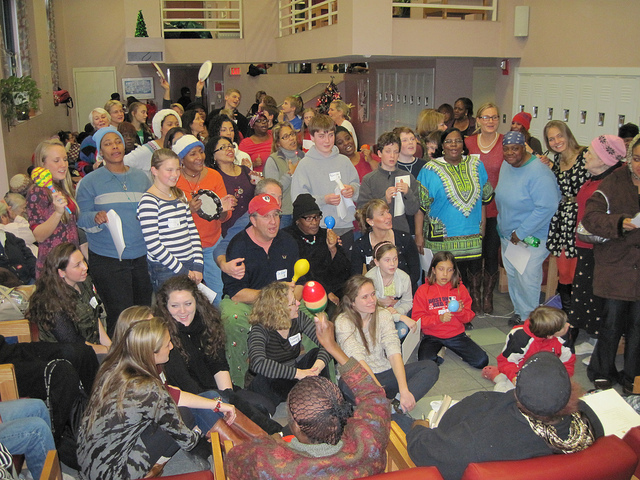 We always look forward to the Ripples of Hope service days!" JOIN US this Spring as Ripples of Hope launches the Harvesting Seeds of Hope Program in partnership with Pine Street Inn. 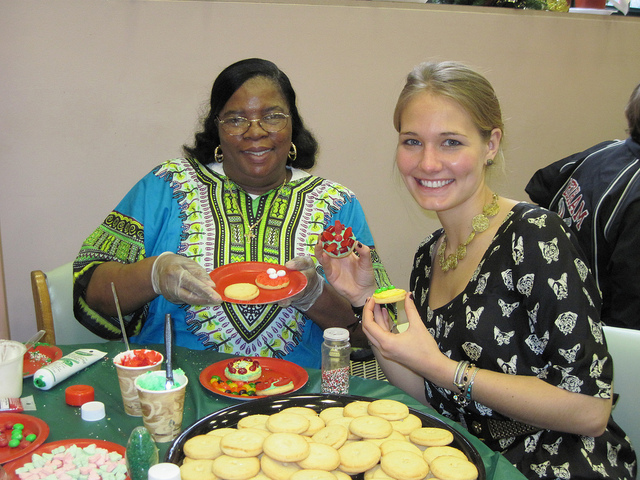 Christmas Celebration – Ripples of Hope families joined 50 Women’s Inn residents for an afternoon of beaded jewelry making, greeting card embossing, cookie decorating and a spirited Christmas carol sing-a-long. Outdoor community space - cleared lot, constructed and painting benches, planted flowers and trees, painted colorful mural. Indoor living spaces - Worked with residents to spruce up their living spaces, painting name signs for their room doors and decorating planters for their rooms. Revitalized Outdoor community space - Cleared neglected green space, built benches, rehabbed old picnic tables, cleaned and planted around stage area for community concerts throughout the year, painted colorful murals and blacktop games with kids. 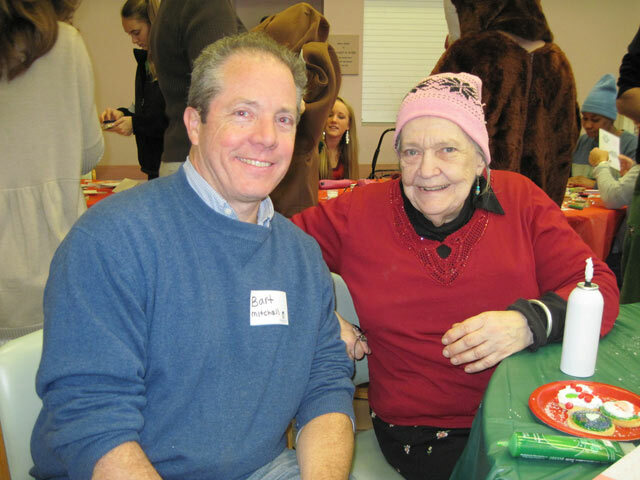 Community Lunch – Prepare and share lunch with the residents of Pine Street Inn. Community Festival – Celebrate the newly revitalized space featuring food, music and games for neighborhood families.